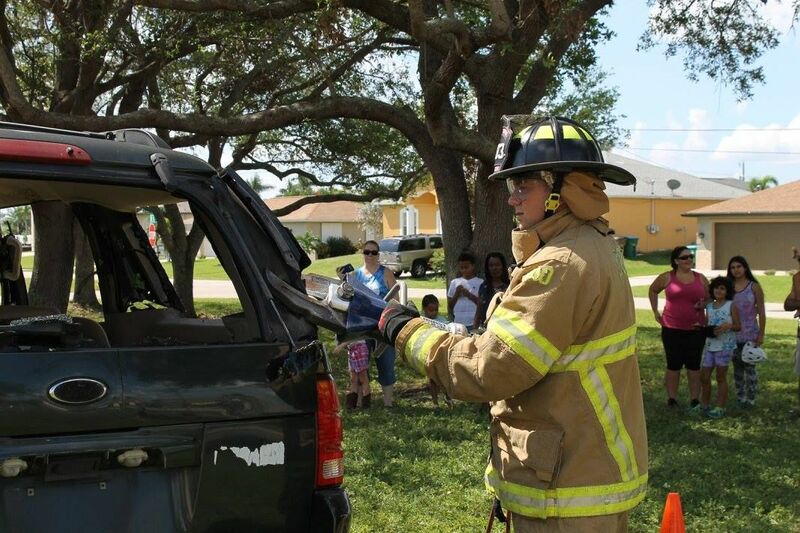 On Saturday, November 3, the Cape Coral Fire Department will host their ninth annual Open House. 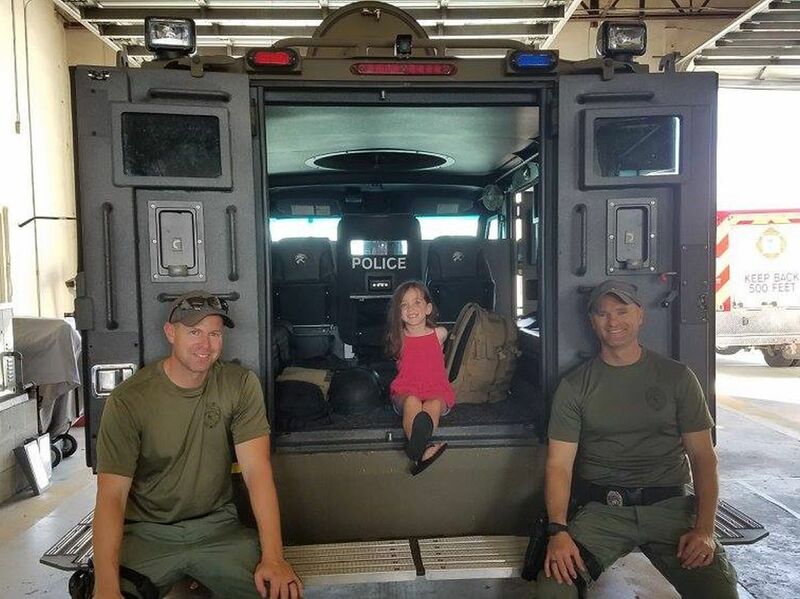 From 9 am until 12 pm, the public is invited to visit any of Cape Coral’s ten fire stations for the opportunity to tour the station, meet firefighters, and learn about the fire apparatus and equipment. 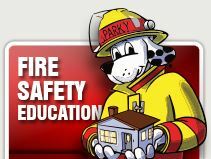 There will also be fire safety information, takeaways, and a scavenger hunt with prizes for those who find all of the answers. In addition, a variety of fun and educational activities and displays from the CCFD’s partner public safety agencies will be available at each station. 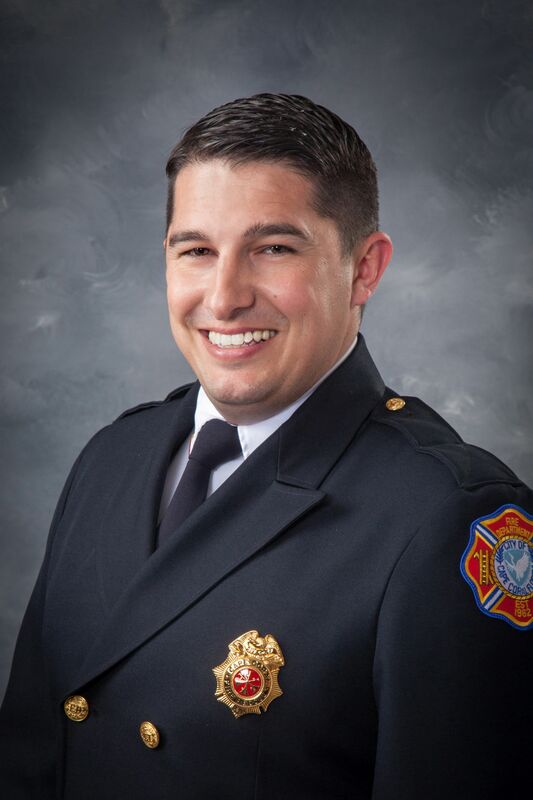 Fire Station 1, 4610 Coronado Pkwy., is the Save a Life Station. OneBlood will be onsite with their Big Red Bus accepting blood donations. All donors will receive a CCFD ‘thank you’ gift. 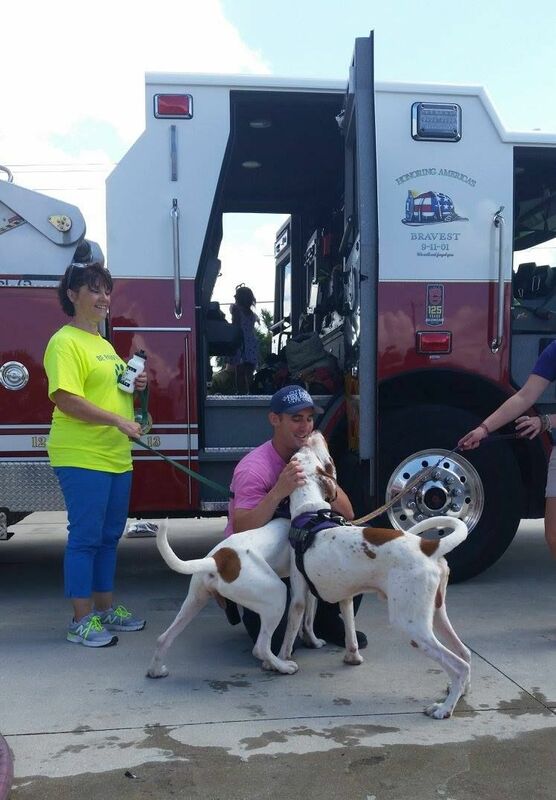 The Gulf Coast Humane Society will also be at this station with dogs who are available for adoption. Stop by for a scratch behind the ears, and maybe give one a forever home. Fire Station 2, 701 Nicholas Pkwy., is the Water Safety Station. This station houses the CCFD dive team, and they will be showcasing their specialty dive equipment and one of the Department’s rescue boats. The Cape Coral Police Department Marine Unit will also be onsite with their jet skis. In addition, the US Coast Guard Auxiliary will be at this station with their mascot, “Coastie.” Coastie is a robotic tugboat that moves independently and interacts with guests, even talking to them! Fire Station 3, 1627 Everest Pkwy., is the Cape Coral Police Department Station. Come to meet CCPD K-9 officers and SWAT team members. The SWAT Bearcat vehicle will also be onsite for visitors to explore. Fire Station 4, 2007 Santa Barbara Blvd., is the Junior Firefighter Station. 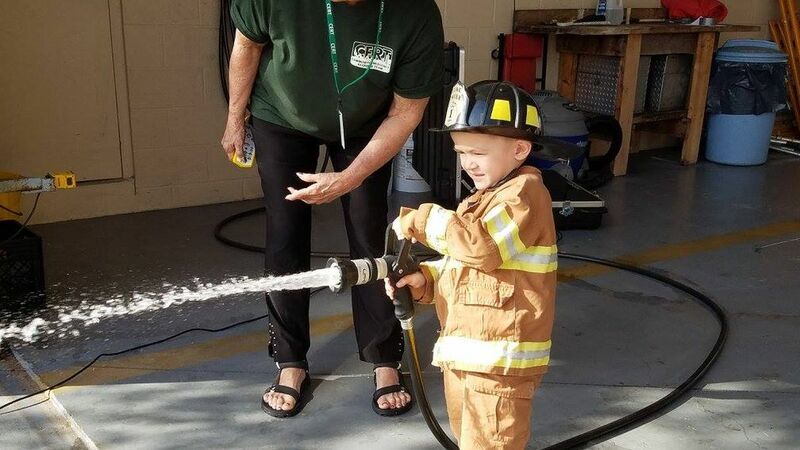 This station is a ‘must visit’ for any kid who has ever dreamed of being a firefighter. Participants will run a series of obstacles, just like those faced by the firefighters. First participants will put on kid-sized bunker gear – boots, pants, a jacket, and a helmet. Then they will tackle the obstacles: crawling through a tunnel filled with smoke, dragging a ‘victim’ (a large stuffed bear) to safety, carrying a bundle of hose, using a hose to extinguish a virtual fire, and finally climbing up a ladder and through a window to rescue another ‘victim.’ Fire Chief Ryan W. Lamb will also be at this station to meet community members of all ages! Fire Station 5, 1029 Diplomat Pkwy., is the Wildland Safety Station. The CCFD’s monster brush truck is housed at this station, and the Florida Forest Service will be onsite with a bulldozer and a transport truck along with special guest, Smokey Bear! 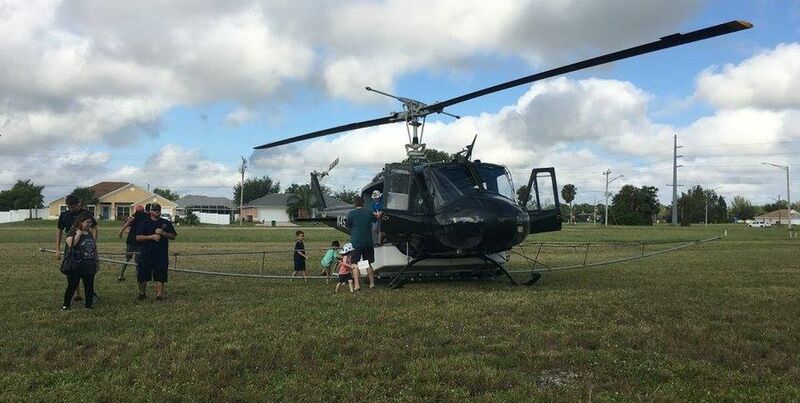 Lee County Mosquito Control District will also land a helicopter at this station for visitors to see and even get inside! Fire Station 6, 4540 Chiquita Blvd., is the Vehicle Safety Station. The Florida Highway Patrol will be at this station with a squad car and safety handouts. SafeKids will also be conducting car seat checks. If you have a car seat and need it installed or want to make sure the one you have is installed correctly, please visit this station for a free check or installation. Firefighters will also be performing vehicle extractions to demonstrate how they rescue someone trapped inside a car after a crash. Fire Station 8, 707 SW 1st St., is the Lee County EMS Station. Meet the EMTs and Medics who provide first response medical care and learn more about how they transport patients to the hospital. An ambulance and the LeeFlight helicopter will be at this station for guests to tour. Fire Station 9, 4107 Pelican Blvd., is the Child Safety Station. 9-1-1 for Kids will be at this station for the younger visitors to learn how to use 9-1-1 in an emergency. They can practice this after making their way through the inflatable fire safety smoke house. Filled with a light haze of smoke, this brightly colored house is easy for kids to navigate (with or without their parents) and has easy to read fire safety messages written on the walls. There will also be Fingerprinting for Kids provided by CCPD and face painting. 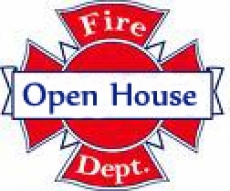 Fire Station 7, 3942 Burnt Store Rd., and Fire Station 10, 3623 Gator Circle W., are CCFD Open House Stations. They welcome visitors and will have Open House activities, including the scavenger hunt, available. 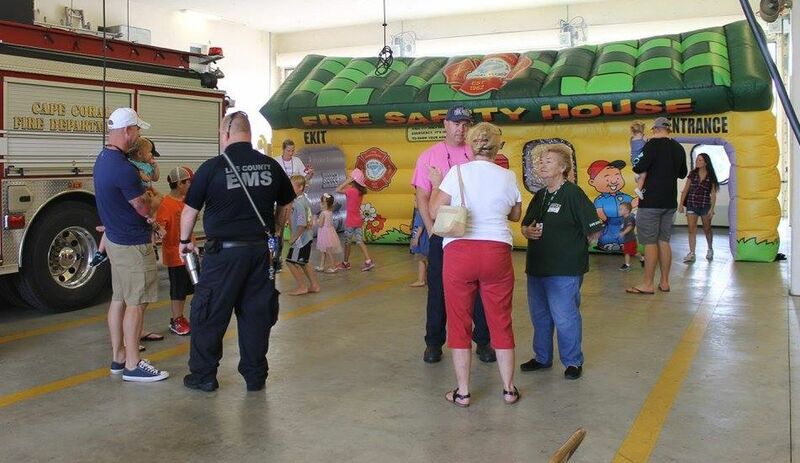 The Cape Coral Fire Department Open House will take place on Saturday, November 3 from 9 am until 12 pm. 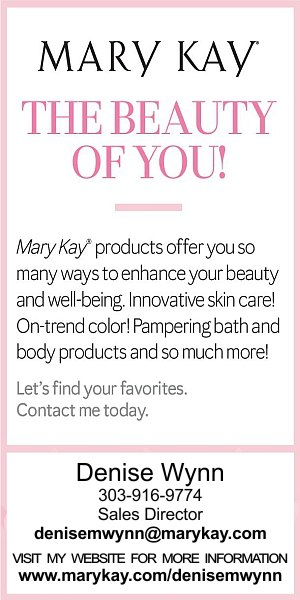 Mark your calendar for this fun and educational event!